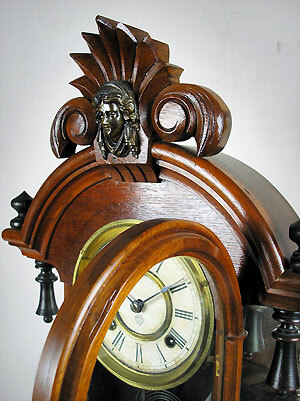 American shelf clock by Ansonia Clock Co. 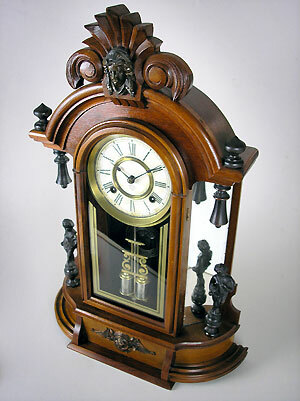 This is a walnut shelf clock by the Ansonia Clock Company of New York, America. 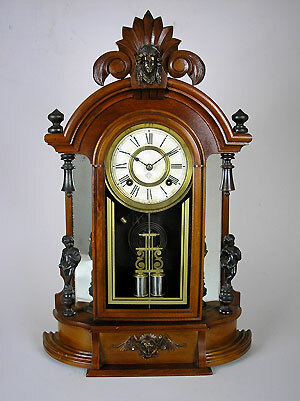 The clock has an eight-day movement with strike on gong, bronzed figures and mounts.